Before we start, vaccine package inserts are important documents, but only if the information included therein is properly understood. 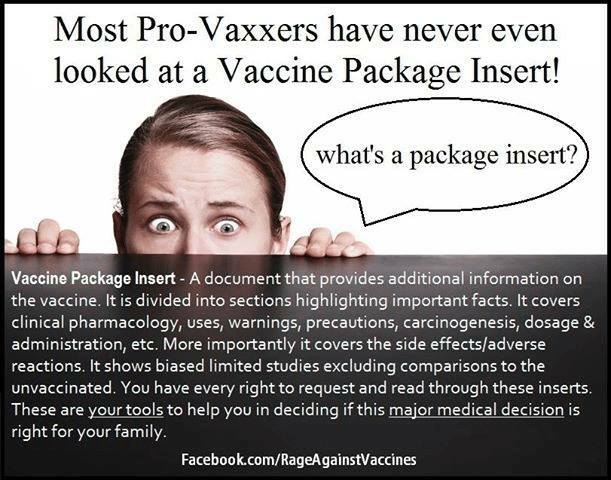 However, vaccine package inserts are not documents that serve as medical and scientific gospel. But it is a document that can help clinicians use vaccines (or frankly, any medication) properly. All of you have probably seen a package insert–it’s a multiple page document that is included with all real medications (as opposed to unregulated alternative medicine), whether prescription or over-the-counter (OTC). Depending on the type of drug, the PI can be 30-40 pages long, although most are printed on one huge sheet of very thin paper so that it can be folded tightly and placed in each box that over-packages the drug’s container (vial, bottle, etc). Although some people believe it’s written in small fonts on thin paper to make it difficult to read and use, it’s actually done so to save on shipping costs. Yes, if you had to fold up a large font-sized package insert and place it in each box that contains a vial or bottle of medication, the shipping weight and volume would make the cost astronomical. And that cost would pass down to consumers. In general, package inserts are part of what is called the “labeling” of the drug, which means all the verbiage that a pharmaceutical company may say about the drug. It is not just the printing on the vial or box, labeling encompasses almost everything said about the drug, including advertising, PI’s, and yes, the box and printing on the vial. You will hear FDA regulators and individuals in pharmaceutical companies refer to “labeling” all of the time. Labeling is strictly regulated because it establishes the claims made about the drug or device, how it is to be used, and other pertinent information. Even what sales reps say to physicians in a sales call is covered by the drug’s labeling. In the USA, the Food and Drug Administration has established very strict rules in the Code of Federal Regulations (CFR) on what can be and cannot be stated in the package insert. There is very little variance in format or quality of information from one PI to another one even for very different classes of drugs. Amusingly, the regulations even state the type and size of the font used in the PI. Before we discuss what is actually contained in the vaccine package inserts, it’s important to understand how it is written by the pharmaceutical company’s medical staff, and subsequently reviewed (and hopefully cleared) by the FDA. During Phase I, II, and III clinical trials for a new drug, scientific information is collected about the drug – everything from the pharmacokinetics to shelf life to results of the trials. The Medical or Regulatory Departments (both or individually) of the pharmaceutical company then writes the PI, using the boilerplate language established by the FDA (or other regulatory agencies such as those from Japan or Europe). Note that there is a lot of consistency between all pharmaceutical regulatory agencies across the world for what is in the PI so that it is similar across the world. You are not going to find better information in a European PI, though you’ll get to see the Latvian translation of the PI if that is important to you. In today’s world, part of the purpose of a PI is to protect the pharmaceutical company from legal issues. If the PI says “do not prescribe this drug to someone who abuses alcohol”, and a physician prescribes it to that type of patient, then the company has some protection from legal action from the patient or physician. The PI is supposed to give a physician or other prescribing healthcare worker the framework to use the medication properly on a patient. After the Medical and/or Regulatory departments complete the initial draft of the PI, it is usually passed through different departments of the company for further review, correction, and approval. For example, the manufacturing department may not agree with a statement about how the drug or device is manufactured, and it is corrected. Spelling errors are commonly found. Depending on the company, up to 10-12 departments may review a single PI, and it could take a few weeks, sometimes several months, before this process is completed to everyone’s satisfaction. And the approval is not a passive one – an internal document package with the PI, supporting data, and other information requires a signature from the reviewer before it is passed along to the next reviewer. This signature represents a legal statement that the reviewer agrees with what is written. If a reviewer just signs it without actual review, a future FDA audit or legal issue could place the blame on all reviewers whether they took the time to read it or not. The draft PI is then included with the New Drug Application (NDA) which is the system in the United States through which drug company formally propose to the Food and Drug Administration (FDA) that the agency review and clear a new pharmaceutical for marketing in the USA. The FDA reviews the whole application, including all labeling (in the parlance of drug regulation, everything written about the drug, from advertising to the PI to vial labels, are considered “labeling”), data, clinical trials, manufacturing, etc. before determining if it will be approved. The FDA often requests changes to all labeling depending if they agree or disagree with statements made in the PI. Many times a pharmaceutical company will attempt to add indications, that is the valid reason to use a medication, but the FDA will reject it until more data is accumulated. PI’s are not static documents. Pharmaceutical companies may add more information, warnings, indications (or contraindications, uses that may harm the patient if used in particular situations), and other information that can be supported by evidence from scientific investigations. Of course, the pharmaceutical company must resubmit its labeling (including the PI itself) to the FDA for approval of the changes. In some cases, the FDA may demand changes to the PI after serious issues arise. Contrary to popular belief (including from an amazing number of physicians), a pharmaceutical company cannot change an indication unless it has a new approval from the FDA. Even making a change that allows a medication to be used on children (a pediatric indication) can take years of clinical trials and regulatory review before a pharmaceutical company can make that claim. The FDA spends a lot of time reviewing pharmaceutical labeling, because it has the most direct impact on patients’ health – although not a critical issue with vaccines, contraindications and drug interactions are very important to pharmacists and physicians for many drugs. Again, the FDA (and other regulatory agencies) have established regulations on what must be written in the PI. The package insert is necessarily complex and wordy because it needs to cover a lot of information. To save weight in shipping, and to make it small enough to attach to every individual unit of a product (like a vial, bottle or box), the PI is often printed in tiny fonts on very thin paper. A lot of time is taken by pharmaceutical companies to lay out the document to fit properly. Highlights – summarizes the most important information about benefits and risks. Table of contents – because there’s a lot of information there. Boxed Warning (pdf, page 11) – this is usually a large black box in bold print that describes a serious warning about the drug. For example, a drug that might kill someone if used incorrectly in specific situations. Black box warnings are reserved for serious adverse reactions that are tied to specific uses of the drug. Physicians and other prescribers need to know this one warning, before all else, prior to prescribing the drug. Sometimes the drug (or vaccine) is perfectly safe but may cause serious allergic reactions in some people. As far as I was able to determine, there are no Boxed Warnings on any vaccine ever. Why? Because there is simply no evidence that there is any dangerous and deadly reaction to vaccines. Date of US approval. Just so you’re clear, a drug could have been approved decades ago, and that date will remain on the PI. Description – this section describes the drug in detail including all of its ingredients. Clinical pharmacology – this section describes how the medicine works in the body, how it is absorbed and eliminated, and what its effects are likely to be at various concentrations, critical dose-response relationships (that is, does more of the drug have more of an effect, a fundamental piece of information about how the drug works). This section may also contain results of various clinical trials (studies), explanations of the medication’s effect on various populations, such as children and pregnant women, and other scientific information. Indications and usage – this section describes the uses and indications for which the drug has been cleared by the FDA (see Note 1). Contraindications – this section probably contains the most important information within all of the verbiage of a package insert. It lists situations in which medication should not be used, for example in patients with certain medical conditions, in children, or other situations. For a physician, this section is as important as the Boxed Warning section. Warnings and precautions – this covers possible serious side effects that may occur with the use of the drug. If the warnings are particularly serious (risk of death, for example), they may be placed in the Boxed Warning section mentioned above. This section also explains how to use the medication safely. For example, it may state that “Do not drink alcohol while taking this medication” or other common precautions. It also describes any laboratory tests that may be necessary prior to prescribing the drug. Serious side effects with known, evidence-based causal associations are listed in this section. This section is much more important with powerful therapeutic drugs that often have critical side effects. Nonclinical toxicology – this section describes the potential of carcinogenesis (causing cancer), mutagenesis (causing mutation) or impairment of fertility from the drug. 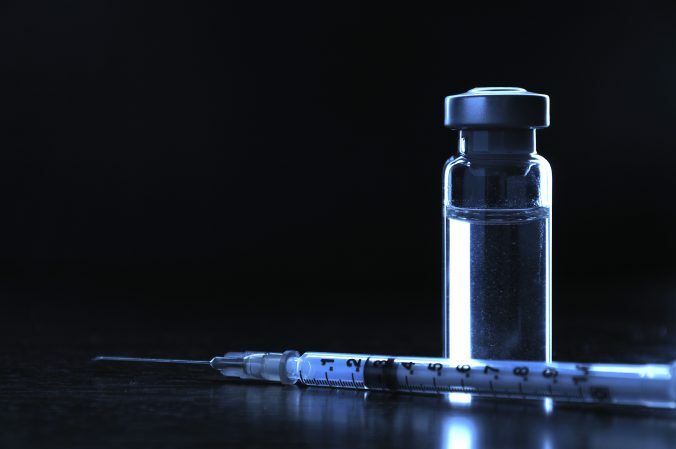 This section has little applicability to vaccines, since they have no carcinogenic, mutagenic, or fertility effect, given that the level of the vaccine’s ingredients’ dosage falls far below the lower threshold of any dose-response test of these issues. The PI may state some innocuous verbiage such as “no known information” meaning that in the 10-15 years of research and study, no evidence that the vaccine is carcinogenic or mutagenic. This section is frequently misused by anti-vaccine pseudoscientists using the argument from ignorance – they think that because it hasn’t been tested for cancer, it could cause cancer. However, there is no biologically plausible mechanism whereby vaccines could convincingly be linked to any cancer. Use in specific populations – this describes if and how the drug may be used in the following populations of patients: pregnancy, labor, and delivery, nursing mothers, pediatrics or geriatrics. Adverse reactions – this sections lists all side effects observed in all studies of the drug (including post-marketing studies), whether or not it has been scientifically established there is a causative link between the drug and the side effect. Almost all of these side effects are coincidental observations and are rarely of much concern. This section is the favorite of the anti-vaccine religion because they do not appreciate the utter lack of statistical evidence of correlation, let alone causation, between these reactions and the vaccine. These are simply observations. Drug interactions – essentially, this section describes any interaction this drug may have with other drugs. Not relevant to vaccines. Drug abuse and dependence – this section provides information regarding whether prolonged use of the medication can cause physical dependence. Since vaccine addiction is nearly inconceivable, it’s not very crucial information for vaccines. Overdosage – this section, critically important in lifesaving situations, gives the results of an overdose and provides recommended action in such cases. Again, it’s not a very crucial consideration for vaccines. Dosage and administration – this part provides the recommended dosages with detail for different ages, medical conditions, and size of patients. Very important for vaccines. Dosage forms and strengths – this section lists out the various dosages and strengths of the drug. How supplied – this explains in detail the physical characteristics of the medication including color, shape, markings, etc., and storage information (usually with a range of temperatures). This is important information, especially for vaccines, that’s sometimes ignored. Lots of medications, vaccines included, lose potency if they are overheated or frozen. Patient counseling information – this details information useful for patients including who to contact in an emergency and how to report adverse reactions to the company or to the FDA. Clinical studies – this covers the clinical trials that were performed prior to approval. It does not include anything more current, and some PI’s can be over 10 years old, lacking citations for more recent clinical trials. Most published clinical trials were not done for FDA approval, so aren’t included in any PI’s. I used to consider this a defect of the PI, but with easy access to post-marketing clinical trials through PubMed and other sources, it’s not too relevant. References – this includes all of the citations for clinical trials, pharmacology, and other information related to the drug. Again, it is only as current as the date of the package insert (which is listed at the bottom), so it can be way out of date. So, that’s a lot of information, but is any of it useful? How does one interpret the information in the PI? Especially for vaccines, which are not truly a therapeutic drug (it doesn’t cure a disease state, but prevents it), and which has ingredients in levels that are far below the level of detection in a dose-response study. 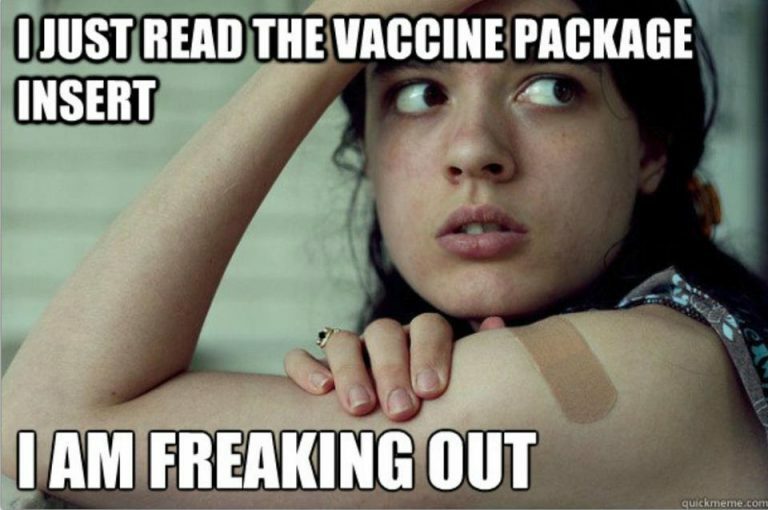 The information in vaccine package inserts can be used in a manner to help treat a patient. The anti-vaccine religion idolizes vaccine package inserts as some kind of biblical statement about the dangers of vaccines. Once again, it’s easy to cherry-pick information out of a PI if one does not or refuses to fully comprehend how the information in the PI is included. Clinical pharmacology. Knowing this information helps the scientific minded (not a skill set well known in the anti-vaccine crowd) understand how the drug works. By understanding this section, you begin to comprehend how a drug may treat a disease, but also how it probably isn’t related to a mythical adverse event. For example, knowing how immunizations work, you will realize that intramuscular injections are a perfectly scientific method of inducing an immune response, that there is no biologically plausible reason to believe an injection would cause a neurological disorder and other silly myths. But pharmacology is very hard to understand, so most people ignore it. Pharmacology is probably one of the most difficult of the biomedical sciences. Contraindications. There are very few contraindications in vaccines. But the ones that do exist are quite serious. For example, there is a contraindication for yeast sensitivity when using Gardasil. Physicians are very aware of these issues, as are most places, like pharmacies, that do vaccinations. Warnings. These are adverse events that have evidence supporting their causal association with the drug or vaccine. As opposed to the adverse reactions section, which tends to be abused by vaccine deniers, this section is where solid, repeatable scientific data is located. The FDA, by regulation, can mandate a change in the PI to include new warnings as real scientific evidence arises. Not a single PI for vaccines mentions autism as a “warning.” Not one. The most misinterpreted misused section of all vaccine package inserts is “Adverse Reactions.” The FDA states that the section should include events “for which there is some basis to believe there is a causal relationship between the drug and the occurrence of the adverse event.” The key word is “believe”, instead of based on evidence. And frankly, any reaction supported by serious and robust evidence would be in the Warnings section, so the Adverse Reactions section is a laundry list of observed events that probably have nothing to do with the drug (or vaccine) but remain there so that the pharmaceutical company is covered in case of a lawsuit. Yes, pharmaceutical companies are constantly frightened of litigation, and the package insert is often the first line of defense against those frequent lawsuits. But we digress. There’s a meme or trope or vicious lie going around that the manufacturers of DTaP (the vaccine whooping cough, tetanus, and diphtheria, have “recently” disclosed in their package insert that autism is an adverse event from the caused by the vaccine. Snopes recently demolished this bogus claim, but I think it would be helpful to look at it here. First of all, this observation (a keyword, hang on to it for a little bit) of autism was not suddenly discovered last week. The package insert for DTaP (pdf) is dated December 2005. Pharmaceutical manufacturers cannot, by regulation, update a single word on a PI until the FDA approves it. At which time, the date of the PI is then changed. In other words, this is old news. But that’s just a technical point, I think the most important question is whether DTaP is linked to autism. The affirmative evidence is no, there is no link. The ADVERSE REACTIONS section must list adverse reactions identified from domestic and foreign spontaneous reports. This listing must be separate from the listing of adverse reactions identified in clinical trials and must also be preceded by information necessary to interpret the adverse reactions. 8 The following adverse reactions have been identified during postapproval use of drug X. Because these reactions are reported voluntarily from a population of uncertain size, it is not always possible to reliably estimate their frequency or establish a causal relationship to drug exposure (emphasis mine). As I wrote above, these “adverse reactions” are just a laundry list of observations, without any evidence of a causal relationship. This is the most frustrating thing about science deniers – they overstate the power of observations, especially personal ones. Moreover, the screenshot above from the anti-vaccine zealots engages in one of the most egregious forms of cherry picking that I have seen in a long while. The actual package insert states that there is no evidence of a causal relationship. But they conveniently ignore that. Moreover, as Professor Dorit Rubinstein Reiss points out in the Snopes article, one of the claims “highlighted Sudden Infant Death Syndrome (SIDS) alongside autism as reported adverse effects, directly beneath the referenced passage was information that the rate of SIDS was lower among vaccinated infants than among unvaccinated ones.” Of course, none of us will claim a lower risk of SIDS as a result of getting DTaP, because that’s not been shown by real epidemiological studies. Cherry-picking one line out of a package insert, which is not a scientific document (compared to a clinical trial), shows no one any evidence of anything. The chances of death from these vaccine-preventable diseases are over 1000X higher than the possibility of known adverse events that are caused by vaccines. 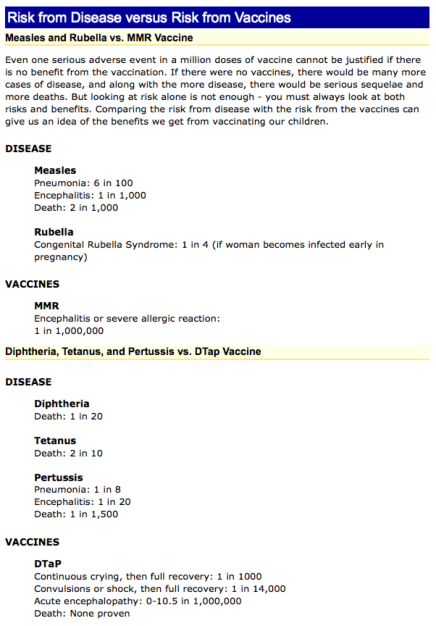 And these adverse events do not cause death (despite the myths of the anti-vaccine crowd). This is real science, where the benefit, saving lives, vastly outweighs any risks, even the nonsense “laundry list” risks that may not have anything to do with the vaccine. If you fall for the Nirvana Fallacy, that is if it’s not perfect, then it’s worthless, then sure, vaccines aren’t perfect so they must be useless. A fellow skeptic and a thorn in the side of vaccine deniers everywhere wrote a hysterically funny article about a mythical airline package insert. The adverse events that result from a crash are, of course, death, massive body damage, and more death. But the risk of dying on a flight across the country is 10,000X lower than driving across the country. As I’ve written many times, the anti-vaccine sycophants generally overstate the risks of vaccines while understating or ignoring the benefits. They conflate selected observations with causality, which is only shown by real clinical trials or epidemiological studies. All of the evidence is what is required to come to a conclusion, not taking one sentence out of context and shove it in everyone’s faces that it’s “proof” that vaccines are dangerous. The simple fact is that vaccines save lives. Until such time the vaccine deniers can actually spend the time in getting their Ph.D. or MD, then do research in a world-class laboratory, and then publish data that shows either the adverse events are all real and are much higher than stated in the PI, while showing that vaccines have no benefit, the anti-vaccine crowd just has no basis for their claims. They are misinforming and misusing package inserts to support their beliefs, rather than using real science and determine whether all of the evidence supports or nullifies their hypothesis. Getting real evidence takes real hard work. It takes education, time, sweat, sleeping in labs, sitting at a computer, writing documents, getting yelled at by superiors and peers. It’s hitting dead ends, then finding a way around that dead end. One cannot just pull a package insert out of a box and say “here, I win.” If only it were that easy. Package inserts contain excellent and useful information, important for physicians and other healthcare workers in treating patients. However, package inserts must be read fully, without cherry-picking data that supports your point of view. Taking information out of context, without spending the effort to understand it completely, just shows the level of ignorance and denialism. The anti-vaccine extremists are focused on finding any data, no matter the quality, that supports what they want to believe. But if you are truly on the fence about vaccines, then the adverse events information in a package insert is not the place to start. There is so much information out there, but if you have an open, critical mind, you will find that the scientific consensus strongly supports the safety and effectiveness of vaccines. One young woman did just that, despite initially being antivaccine. Her open mind led her to eventually vaccinate her two children. Good for her. Vaccines save lives, and we have evidence that supports it. And package inserts do not dispute those facts. Physicians have the discretion and are legally allowed to prescribe medicines for purposes not listed in this section (so-called “off-label usage“), as long as that use is not specifically contraindicated (see below). However, the pharmaceutical company’s labeling may not discuss this off-label use, even if there is compelling scientific evidence supporting this use until the FDA approves it. Recently, there have been major fines levied by the US Department of Justice against pharmaceutical companies that push off-label use through subtle advertising or sales rep conversations. This article was originally published in April 2013. This article has been updated to fix broken links, copyedit some bad grammar, and reticulate some splines that needed serious reticulating.